Since you wouldn’t be changing the serialization a lot, you might find yourself search connectors and SMTs on this repository most of the time. Confluent Hub obviously have a web page where you can go and search for the component you might be looking for. 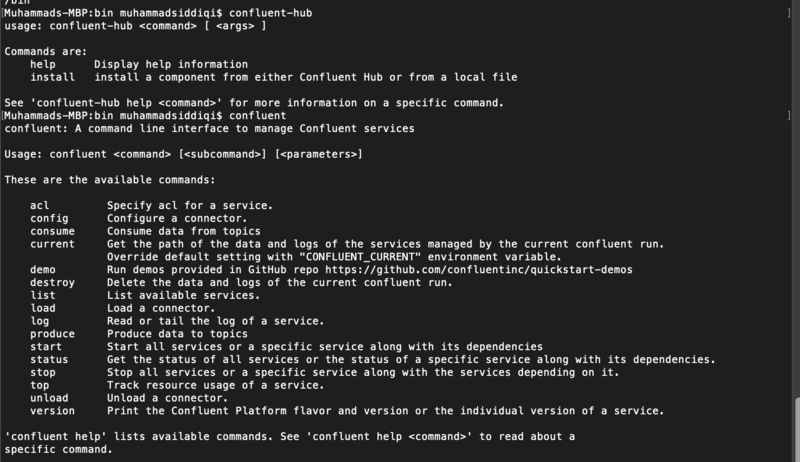 There is also a CLI available with the latest versions of Confluent Enterprise. You can find it in bin folder of the installation. But if you have a community edition, the CLI can also be downloaded as a tar ball. Just make sure that your confluent installation and confluent hub packages are added to PATH environment variable. Here is the command we can use to download the components. Please note that there are switches to specify the component’s download directory. You can also note that there is an additional switch to specify the worker’s properties file. This is to ensure that the plugins details are updated so connector service can use the component from the specified directory. And the component does get downloaded to the specified directory. Although the confluent tutorials suggest to run the installation command directly providing just the component’s details but there are other switches too, some of them seem mandatory.